The May NPD sales numbers are in for the US, and the results may surprise you. On the hardware side, the number one selling console, for the fifth straight month, was the PlayStation 4. While the PS4 and Xbox One were obviously still in high demand, other consoles were not slouch either. “Much of May 2014’s hardware growth was due to Xbox One and PS4, there was also year-over-year growth for the Wii U, and PS Vita,” said NPD analyst Liam Callahan. Neogaf calculates that the Wii U’s software sales were nearly 60k, an 85% increase compared to 2013. The Nintendo 3DS was the second best selling hardware. Software sales bore quite a few surprises. Number one, to the shock of no one, is Watch Dogs. Ubisoft’s new IP sold over 1 million in it’s first day, and the sales momentum continued from their. In at the number two spot was Mario Kart 8. This is incredibly surprising as Mario Kart 8 was only out for TWO DAYS in May. The positive word of mouth will likely lead to high sales numbers for June as well. In third we find the PlayStation exclusive MLB 14: The Show. This marks the second PlayStation exclusive to crack the top three this year, joining Infamous Second Son from March. This entry was posted in Gaming and tagged Kirby, Mario Kart 8, MLB the Show, NPD, NPD Numbers, TitanFall, Watch Dogs, Wii U, Wolfenstein: The New Order on June 17, 2014 by leagueofmediocregamers. Ubisoft has announced that Watch Dogs has sold over four million copies in it’s first week. The news was broken on Ubisoft’s Ubiblog today, saying that Watch Dogs is now the best selling New IP in the video game industry, and Ubisoft’s best-selling game ever in week one. This is after Watch Dogs broke Ubisoft’s Day One sales records, after the game sold over one million on the first day. “With such strong sales momentum and positive feedback from gamers, Watch Dogs has positioned itself as the must-have game of the moment” said Tony Key, Ubisoft’s senior vice president of sales and marketing told the Ubiblog. “We’re really proud of this achievement, and are confident that the Watch Dogs brand has a promising future.” I reviewed Watch Dogs, calling it a great start to a new franchise, and well worth your $60. This entry was posted in Gaming and tagged Record Breaking, Ubisoft, Watch Dogs on June 4, 2014 by leagueofmediocregamers. Ever since it’s reveal at E3 2012, Watch Dogs has been heralded as the benchmark for the next-generation of gaming. The demo had amazing graphics, a dynamic new world, and an awesome digital-age setting. To put it lightly, Watch Dogs got people excited for the next generation of gaming. It was even initially supposed to arrive with the PS4 and Xbox One at launch, but a last minute delay pushed Watch Dogs back to six months after their release. The online community since then has given a massively negative reaction to the supposed “downgrades”, and the excitement many felt for it went away. Finally Watch Dogs is in the hands of consumers, begging the question: Did Watch Dogs live up to its own hype? Let’s find out. Watch Dogs’ in many ways is an origin story. Our protagonist Aiden Pearce, doesn’t start out as a good man. He starts as a criminal using the skills that will later become invaluable to his fight for justice to steal thousands from rich hotel guests. In doing so, Aiden changes his entire life as he stumbles upon secrets he wasn’t supposed to learn, and he loses someone close to him because of it. From there, Aiden goes on a path of vengeance to find those responsible. While this may start as a simple vengeance plot, it grows into a modernized hero origin story, with Aiden as Chicago’s reluctant vigilante. The overall plot of Watch Dogs gets quite convoluted at times, with seemingly major plot points being cast aside for multiple acts of the story. It’s an exciting and fun story, but gets confusing to piece together. Fortunately, Watch Dogs cast of characters and gameplay are strong enough to overcome these shortcomings. Alongside Aiden are a cavalcade of well written NPCs, though they may not seem like it at first. The strongest of all of the characters in the game is your mercenary Jordi Chin. Jordi is something of a psychopath, but thankfully he’s the psycho you pay to be on your side. Actor Aaron Douglas brings great life to Jordi, and makes him one of my favorite new characters of the year. One great theme that shines through is just how much of our information is available online. Bank accounts, social media updates, and who we follow on twitter all lead to a profile of us. This can be used to find us or even predict crimes. It’s both fascinating and terrifying, in a way that makes me rethink nearly anything I’ll post to social media in the future. Aiden’s streak as a vigilante naturally puts him at odds with the law, and makes him a well known public figure. The most important differentiating factor for Watch Dogs has always been your ability to hack nearly everything. Every part of the game involves you hacking Chicago and its residents, presenting a concept never before seen in gaming. These hacks can be incredibly simple, like hacking someone’s phone in order steal money from their bank accounts or songs from their library, to bursting steam pipes, exploding transformers and blacking out an entire district to fight your foes. 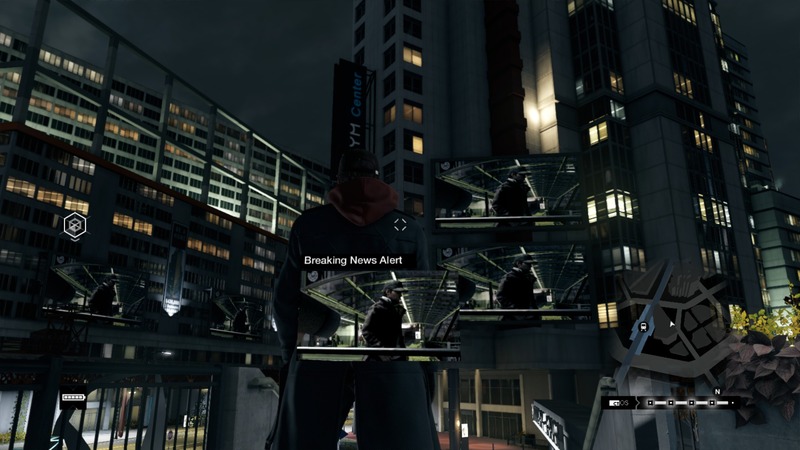 The hacking makes Watch Dogs feel incredibly unique and adds fun twists to the gameplay that would otherwise feel like a rather un-eventful GTA clone. Hacking is integral in both exploring Chicago and battling your enemies. To expand your reach you have to hack into new ctOS stations, which give you full hacking ability over that district. The station hacking definitely reminds me that this is a Ubisoft game, and feels distinctly familiar to Assassin’s Creed or Far Cry’s lookout towers. Watch Dogs follows many of the tenants of Ubisoft’s open world formula, but that’s not a bad thing. Ubisoft’s formula is great, but it’s starting to become quite noticeable. Watch Dogs has hundreds of collectibles, many randomly generated crimes, and three major side mission types. The collectibles tie into the digital world of Watch Dog, with check-ins at different landmarks, as well as QR codes that can be scanned for extra missions. 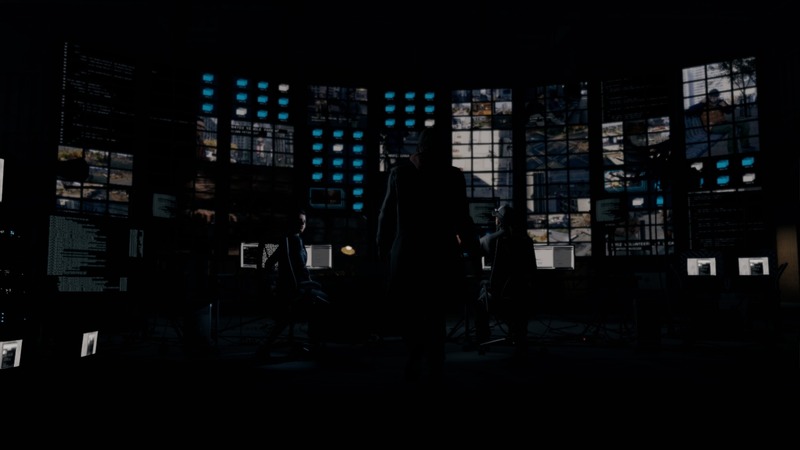 The game’s randomly generated crimes are determined by the city’s operating system ctOS in a way that is familiar to anyone who has see the show Person of Interest. The crime is determined by meta-data and an algorithm that ctOS tracks. A notification will appear and give you a general area to head to, where you have to profile those around you to find your possible victim or perpetrator. While sometimes repetitive, these make for fun little side distractions and help further cement your status as Chicago’s vigilante. One standout mission of Watch Dogs is a side quest, where you must fight a gang inside of a bridge that’s being constructed. On top of those side missions, Watch Dogs offers three other major missions, and some goofy extra fun as well. Fixer contracts are driving challenges where you need to stay close to a target to steal his data, gang hideouts involve you taking out a gang’s leader inside his hideout, and criminal convoys have players intercept a gang’s convoy en-route to its destination. Of all of these, I found criminal convoys to be the most fun, as gang hideouts often forced you to not kill a gang leader. It doesn’t give you the gang leader’s location from the start, and forces you to profile him. The thing is, your profiler has only a limited range, so you have to get close to all enemies to identify them, before you strike. It’s an unnecessary frustration. Goofiness abounds in Watch Dogs other side missions, the digital trip. These let you do silly things like destroy Chicago with a Spider Tank. It feels a little bit like something Saints Row would do, but dammit if I didn’t love it. These offer a fun distraction from the often gloomy story, and can lead to 20+ hour playthroughs like mine. To put it lightly, there is a ton to do in Watch Dogs. Combat is your standard third person cover based shooter fair. You have a wheel of weapons, gadgets, and more that will help you in your fight. Your most powerful weapon once again, is hacking. You can raise protectors for a new cover point, explode enemy’s grenades prematurely, and use distractions to play stealthily. These add a crazy feeling of power to your fight, when the combat area is designed well. There are many missions that force you into stealth, and those showcased the game’s AI flaws. The field of vision for enemies is too narrow, where I could sneak alongside an enemy with them hardly noticing. Watch Dogs reminds you just how human Aiden is quite often, as you can’t take very many hits in a gun fight. This seems to be their way to say “play stealthily” but they make that feel too easy, at least to me. Watch Dogs ramps up the difficulty by using heavily armored opponents, who presence in a gang war in Chicago makes absoluitely no sense. These types of heavily armored characters just feel like a cheap way to up the difficulty instead of making smarter AI. Hacking doesn’t always work perfectly either, as I found myself trying to explode an IED and it would pop me into my enemy’s chest camera. This lead to far too many dumb deaths that could be fixed by better prioritization. Combat is solid and has room to grow, but the AI lacks polish and many deaths feel cheap. 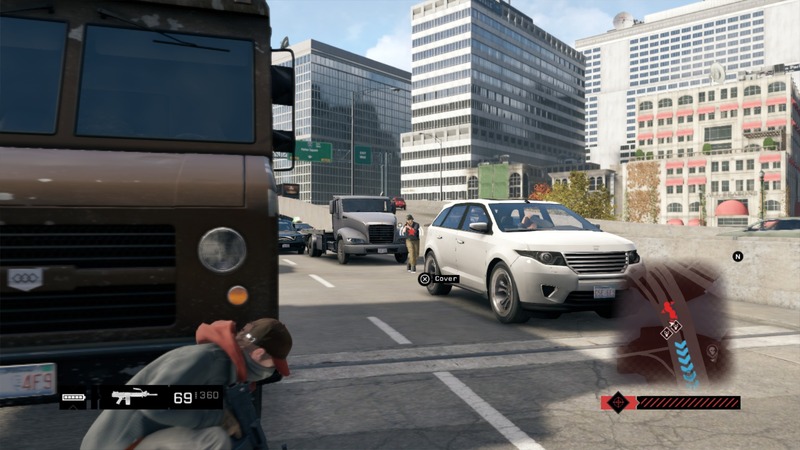 Driving is another area of Watch Dogs that needed more polish. Your vehicle can smash through nearly anything in the environment like stop lights and trees, and take basically no damage. I felt like I was playing bumper cars with nearly everything else in the world. There is no real weight to any of the driving, which caused far too many frustrating moments in crucial moments. Driving also became frustrating while trying to escape the police. The police are more relentless then shark who smells blood; sending so many officers after you in mere moments. Chicago’s finest just don’t seem to take damage from your hacks, and pursue you over raised bridges, slamming through car piles ups and flying through bursted steam pipes. Escaping is incredibly difficult when you get to five star levels, but doing so feels more rewarding then nearly any five star escape in Grand Theft Auto. Chicago is beautiful in Watch Dogs, but it’s still not an island. 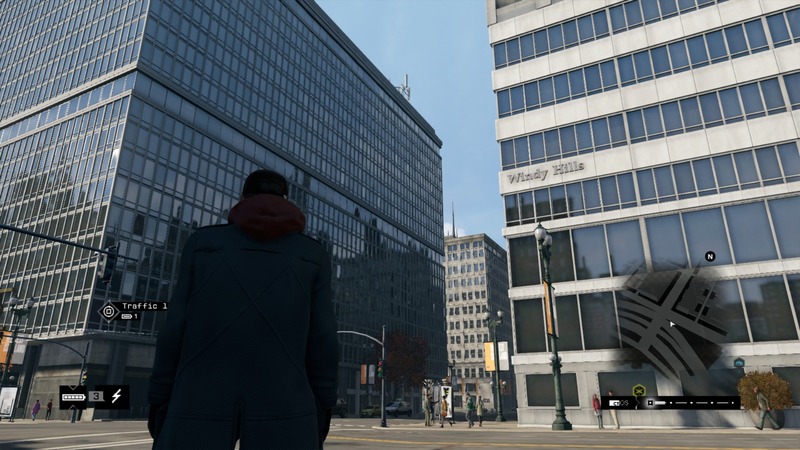 The city of Chicago is your home in Watch Dogs, and it is a massive playground. It’s very well detailed, but I have to bring up a major gripes. CHICAGO IS NOT AN ISLAND. There is no part of Chicago that is an island, and certainly not to the Manhattan-esc levels that Watch Dogs presents it as. Thankfully, Ubisoft shows off the diversity that you can find in Chicago with the slums just a short drive from the hustle and bustle of downtown, and the same goes for the woodland area, called Pawnee in the game. The city is very well populated though, we unique citizens around every corner. It’s fun learning about each of these folks too, thanks to your hacking ability. Multiplayer comes to Watch Dogs in two ways: one is your standard team vs team battle and the other is where you can invade another player’s game. Taking a page from Dark Souls, you can be paired with another player who is online and start “hacking” their game. The other player must then find you within an outlined area. This leads to a fun game of hide and seek as the invaded player frantically runs to find the invader who, if found, will need to run away to avoid losing reputation. It’s a fun little extra that feels perfectly integrated into this world of hacking. I would like to report on the game’s four on four multiplayer mode, but it was not working for me due to Uplay server issues. This scene looks nearly as good as the E3 2012 demo but with less smoke. Graphically Watch Dogs is very impressive at night, with the lighting and shadows done better then nearly any other open world game. Daytime is less impressive. The darkness hides Watch Dogs’ heavy texture pop-ins, where the daytime highlights them. I found the texture pop-ins to be worse at times then GTA V on my Xbox 360, and that is eight year old hardware. The natural question that arises is does Watch Dogs look as good as it’s E3 2012 demo? I’m going to err on the side of yes. The E3 demo showed off the game running on an extremely high-end PC, and the PS4 version is nearly there. While it certainly does have issues, it’s graphically impressive in the right moments. Cutscenes are especially impressive, reaching a near Blizzard-level of quality. The game’s score sets the tone for the world perfectly. While hearing it is rare, the electronic mix keeps things tense in gunfights or chases. The real gold in the game’s music is the licensed soundtrack. Ubisoft collected a wide swath of artists, ranging from Flatfoot 56, Alkaline Trio, Curtis Mayfield, Wiz Khalifa and Chicago all contributing to a soundtrack that feels perfect for The Windy City. The bad part is, you can’t have these songs playing during many parts of the game. Main missions I understand, but when I’m waiting for a criminal convoy to arrive you can’t have your music app running. Why hide your impeccable sound track Ubisoft? It’s probably the best in any game that isn’t Rock Band or Guitar Hero. Watch Dogs is astoundingly beautiful in cutscenes, and rather good everywhere else as well. The new generation of consoles is here, and Watch Dogs does a good job of showing just what the new hardware can do. It may not be perfect high-end PC level of graphical fidelity, or without it’s gameplay flaws, but Watch Dogs brews a cocktail of fun that we’ve not yet seen on this generation. While aspects like the enemy AI, texture pop-in and driving need a lot of work, it doesn’t prevent this from being a very fun and compelling game. Watch Dogs is great start to a new franchise, and if you are looking for a game that will be well worth your $60, look no further than Watch Dogs. Full Disclosure: I completed this review on a PS4 copy of Watch Dogs I purchased from Gamestop. I played the game for about 25 hours across five days, where I completed the main story and many of the game’s side quests. All images captured thanks to the PS4’s share function. 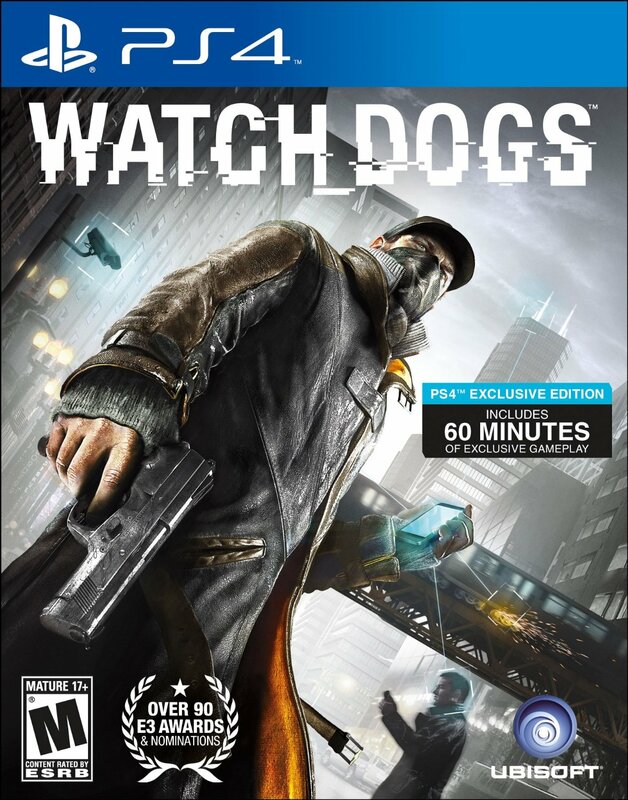 This entry was posted in Gaming and tagged Review, Ubisoft, Watch Dogs on June 2, 2014 by leagueofmediocregamers. Ubisoft’s co-founder and CEO Yves Guillemot commented on the news, saying “Watch Dogs is an amazing achievement and our teams should be proud that the creativity, innovation and long hours they invested in making this game are paying off. It’s great to see so many customers enjoy playing the game, and it shows that Watch Dogs has cracked the code for developing a new blockbuster IP and a thoroughly new-gen experience.” These massive sales come despite many fans disappointment at the game’s seeming downgrade from it’s E3 2012 demo, but make no mistake that the game is still visually impressive. We would like to send our sincerest congratulations to Ubisoft on these massive sales, and look forward to the almost guaranteed Watch Dogs 2. I will have my review of Watch Dogs completed by this weekend. 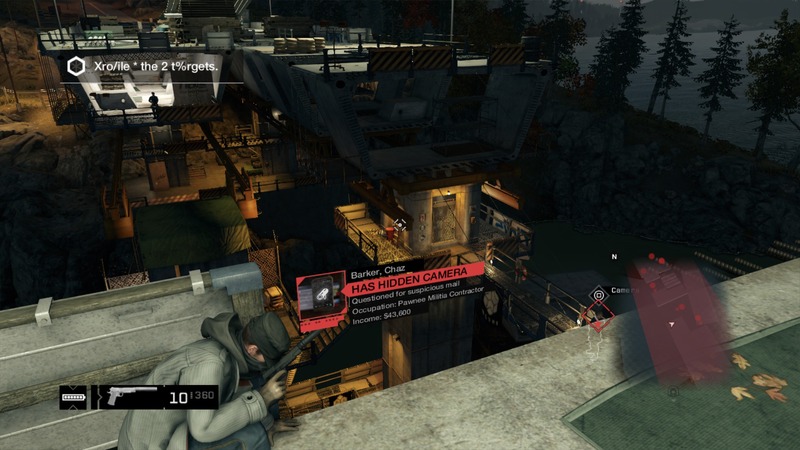 This entry was posted in Gaming and tagged Ubisoft, Watch Dogs on May 29, 2014 by leagueofmediocregamers. Watch Dogs is barreling toward it’s May 27th launch at full steam, and Ubisoft has released another trailer to hype things up. This trailer focuses on the game’s key NPCs, which include an eastern European hacker, a hitman who’s morals change based on the price, and a man who brings military strategy to gang warfare. It’s a very well put together trailer, and if you are already excited for Watch Dogs, it will keep that hype going. 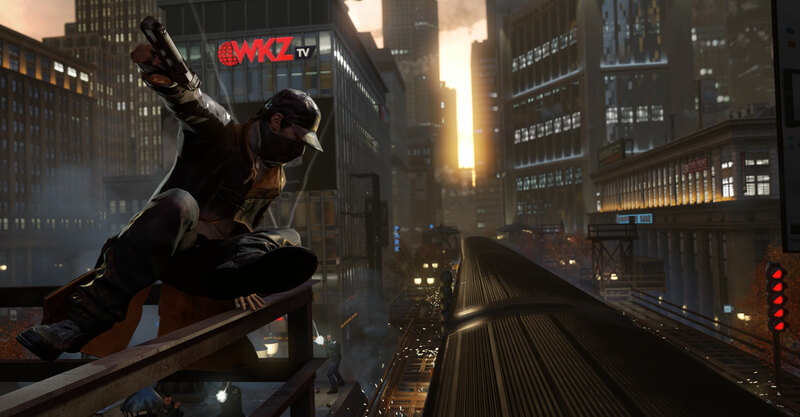 Watch Dogs comes to Xbox One, PS4, PS3, Xbox 360, and PC on May 27th, with a Wii U version coming later this year. This entry was posted in Gaming and tagged Ubisoft, Watch Dogs on May 8, 2014 by leagueofmediocregamers. Watch Dog has been the flag bearer of next-gen ever since it’s reveal in 2012. It was unfortunately delayed into 2014, missing the new console launch, but it looks like that extra time has made the game better all around. The new video released today shows off three of Watch Dog’s multiplayer mode. The first mode shown allow players to target another play via Online Hacking Contracts. One player finds another inside of his world and must hack that player. The other player is alerted to their existence, and must stop them to earn XP points to put toward skills. The next mode shown was another one on one challenge but with one player using the free CTOS mobile app. The mobile player will control a helicopter and attempts to get the other player captured by the police. They can use many of the hacks that you would normally use to evade the police, and make your day much worse. The final mode shown was the eight on eight Decryption multiplayer mode. Teams will fight over a file that they must hold and decrypt. This mode seems reminiscent of something you would find in Grand Theft Auto Online, but with much more hacking. 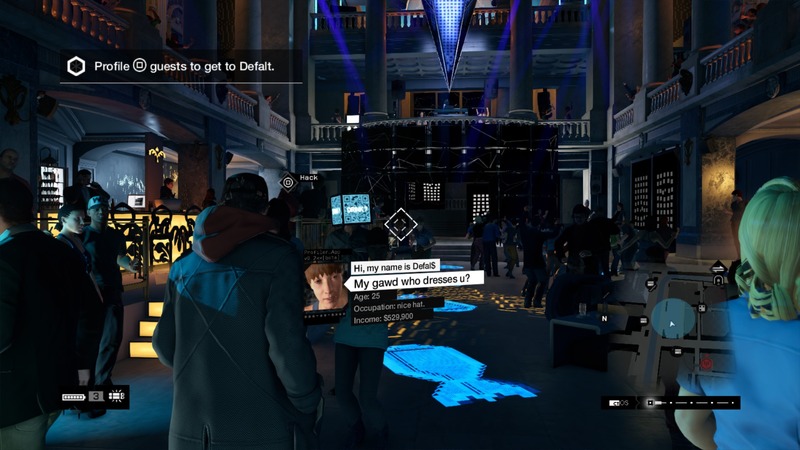 For more Watch Dogs content, an embargo has lifted for game sties to post their thoughts on their five hours of playing the new game. GiantBomb, Gametrailers, Rev3games and IGN all have great pieces on the Ubisoft’s upcoming open world epic, so if you want to learn more give them a look. I’m sure we’ll be seeing more trailers, news and more on Watch Dogs as we near it’s May 27th release date, so keep it locked here for any news we learn. I’ll also be reviewing Watch Dogs, with my review being posted within a week of launch. This entry was posted in Gaming and tagged trailer, Ubisoft, Watch Dogs on April 23, 2014 by leagueofmediocregamers.